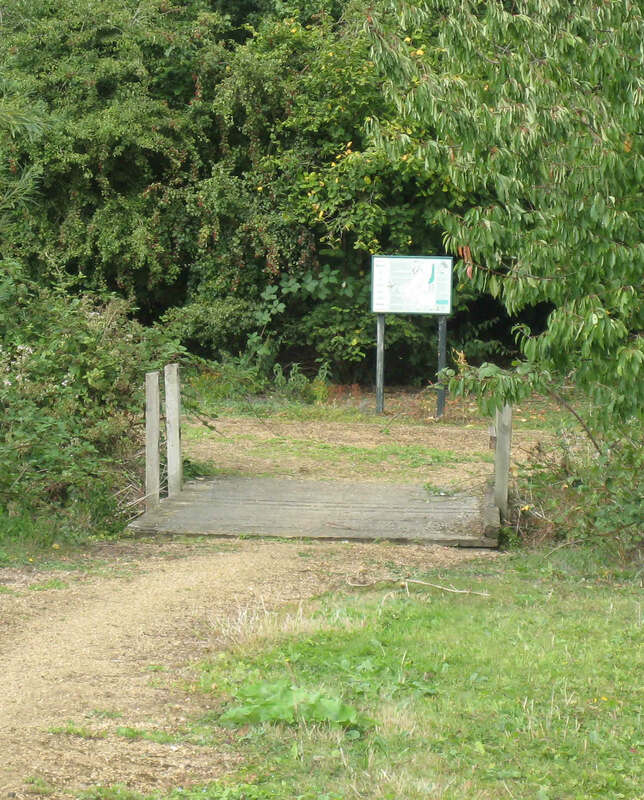 With level paths, beautiful views and diverse flora and fauna, this nature reserve and adjacent woodland are ideal for wheelchair users, while their proximity to the M25 means disabled people can get close to nature without travelling deep into the countryside. 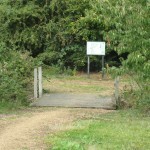 The site has been provided with a small car park, as described on many web sites and shown on Ordnance Survey maps. There’s even a car park symbol on a signpost opposite its entrance on Stanwell Road. But access is blocked by a robust metal barrier. We were aware of it only after making the right turn off the road, where directed by the sign! We weren’t deterred from entering the Reserve, having made a special journey to visit it! We parked on the road verge near the barrier. And once inside, we were delighted with all we saw. 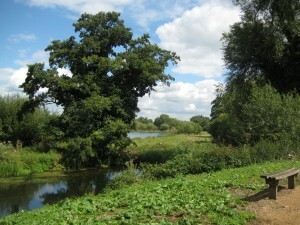 The Nature Reserve is situated alongside a picturesque stretch of the Colne Brook river, adjacent to the village of Horton, Berkshire. The site covers 4.6 hectares and rapidly developed into a haven for wildlife after being opened in 1996. The Reserve was created from wasteland and a series of derelict sewage sludge lagoons. It’s to the developers’ great credits that there’s no evidence of the site’s former ugliness. The Reserve has four lagoons containing reeds and aquatic plants, while the rest of the area has been extensively planted with trees, shrubs and wildflower meadows. The Reserve is now an important wetland habitat and was designated as a Local Nature Reserve in 1999. 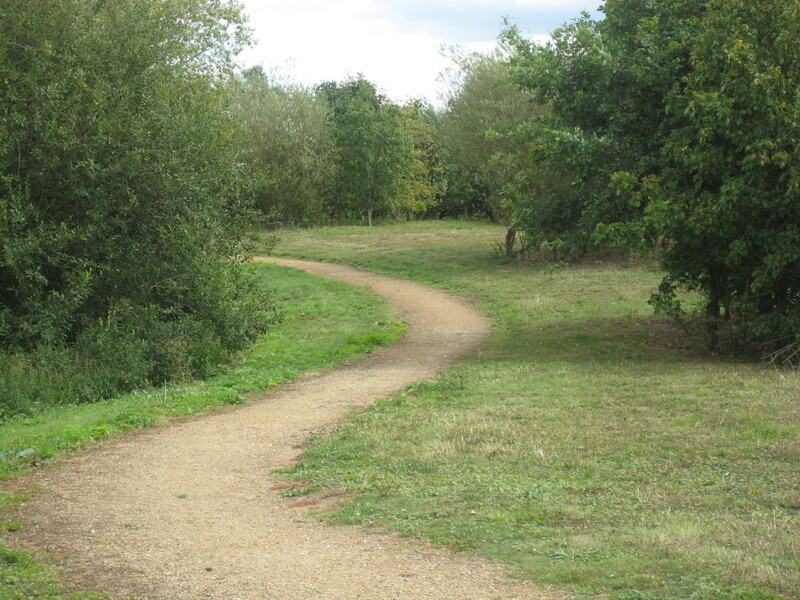 The paths are of compacted small gravel with no gradients, so are ideal for wheelchairs and those with walking difficulties. Seats and information boards are spread across the site. Clearly the Reserve was created with wheelchair users in mind, so the closure of its car park is unfortunate. a steady procession of jet aircraft overhead. 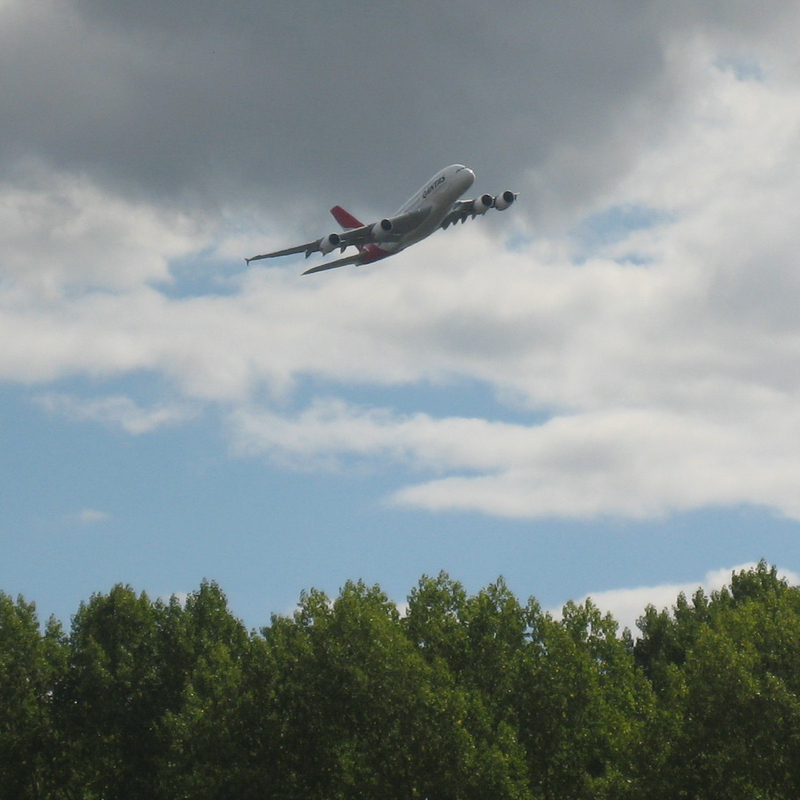 Some may consider the noise intrusive, but we found the aircraft added extra interest. And we were amazed that, during pauses between planes, the site was tranquil and peaceful, with only birdsong and the buzzing of insects to break the silence. The (closed) car park is also adjacent to Poyle Poplars. This woodland covering six hectares gets its name from the hybrid poplar trees planted here for matchwood in the 1970s. The woodland was badly damaged by the storm of 1987, after which native trees and shrubs including black poplar were planted to attract wildlife. Its main path is level and suitable for wheelchair users (but the chair will need to be pushed for much of the way due to the uneven ground and tree roots). It curves back on itself to return you to the start point along a parallel path, providing a pleasant circular journey. There’s a narrow footbridge with a single step up and down, but it can be avoided by taking a short-cut (click the link below to see a map). We took a picnic and had a wonderful day in the Nature Reserve and Poyle Poplars, despite the access difficulties presented by the barrier across the car park entrance, which makes it appear so unwelcoming and difficult to access by wheelchair users. The car park for the Arthur Jacobs nature reserve is still blocked off.I would be suprised if anyone visits here as there is absolutely no where to park. It is still the same – closed off car park! We found it difficult visiting! Would be nice if this could be sorted so the park can be used! Maybe the gate can have open & closing times like other parks? Sadly, the car park is still blocked off. We parked just outside the car park. The site itself is lovely, and well worth the visit. There’s a residential road just over the roundabout from the reserve – this has no parking restrictions indicated. That will be where we’ll be parking the next time we go, and I would urge you to do so too – as I say, it is a lovely reserve.